Our focus as occupational therapists is to enhance a child's independence with their "occupations". Children's jobs are to play, explore, learn, develop independence (eat, bathe, toilet, dress) and socialize. Most children can develop these skills through everyday experiences, but some cannot. Sensory processing disorder - difficulty synthesizing information from the senses (touch, hearing, taste, smell, and sight), as well as information from our proprioceptive (body awareness) and vestibular (movement) systems. Motor planning deficits - the ability to come up with a plan, organize the plan, and carry out the plan, and even considering the "what if's" if the plan doesn't work. Decreased strength - development of core muscles and large and small muscle groups, which enable us to coordinate our movements, control our movements, and perform tasks with precision and accuracy. So how can occupational therapy help a child become more independent? Occupational therapists have specialized training to analyze a task and determine what's needed to perform that task. We look at the quality of the child's performance, and how much effort and energy is required from them. Our job is to make therapy fun! No one wants to do things that are hard for them, so it's our job to target the weaker areas using fun, motivating, and reinforcing activities. Our clinic provides children with opportunities to actively explore their environment while naturally improving their strength, endurance, and coordination. There are always other children available to work on the social aspects of development, while developing peer relationships. Our focus is not to teach the task, but to provide the tools and foundation necessary for a child's independence! 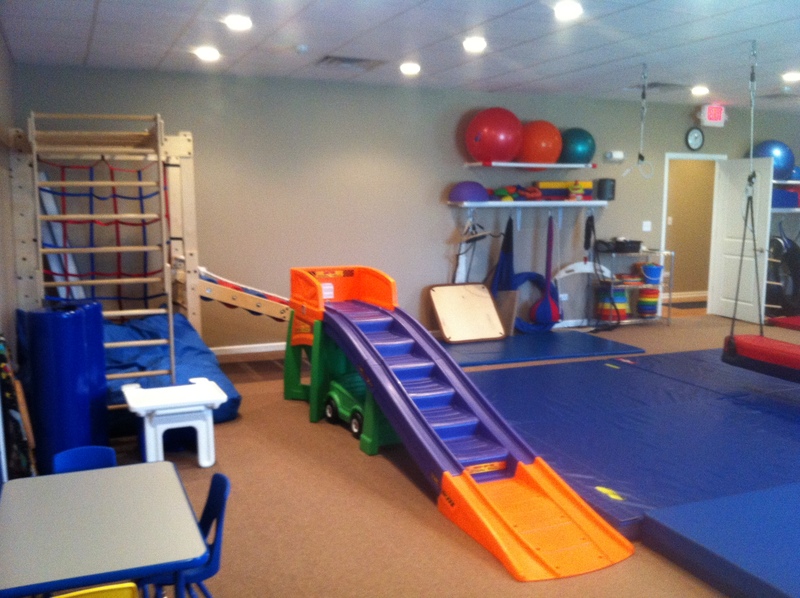 Take a look at some of the areas in our clinic that are used to enhance your child's "occupations".